I hope you've had a lovely few days? I'm having a great time in London and looking forward to some down time today with my girls before heading back to Sweden on Wednesday. How about you? 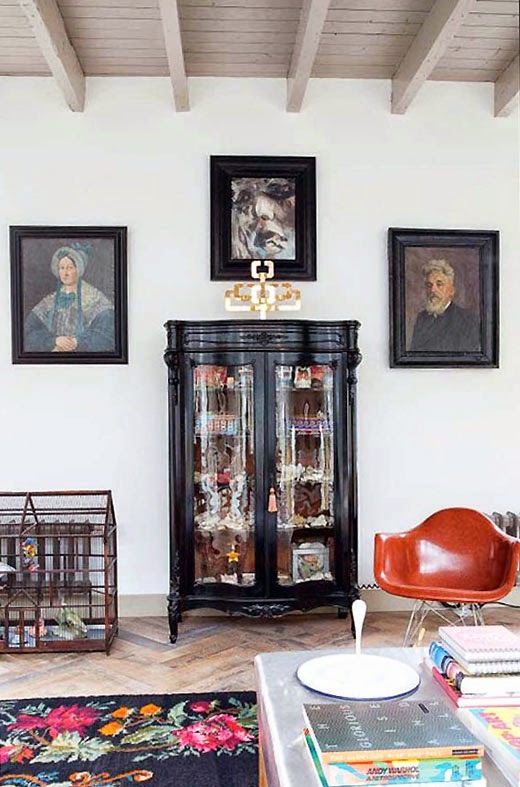 Doesn't this time of year fill you with the need to bring colour into the home? I'm really feeling the yellows, blues, greens and pinks! 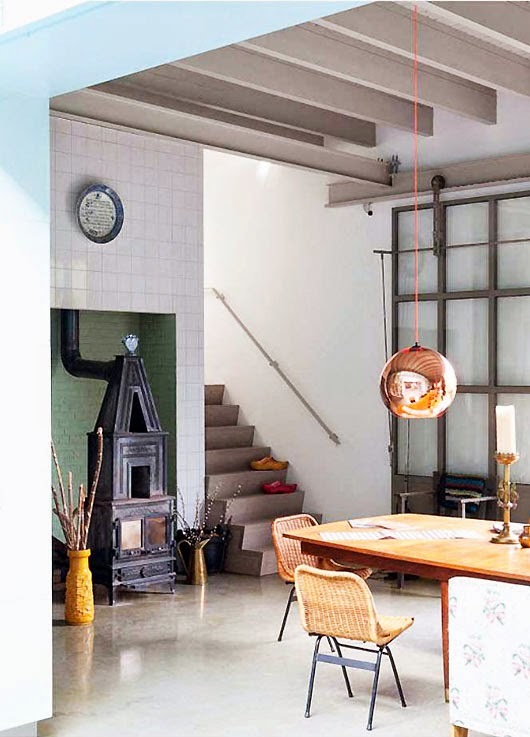 This converted garage space featured in the February edition of Elle Decoration UK (I've just bought the May edition and it's fab) found via one of my all time favourite blogs SF Girl By Bay is so wonderful it makes my spring heart sing! There's such a personal stamp to this incredible home. 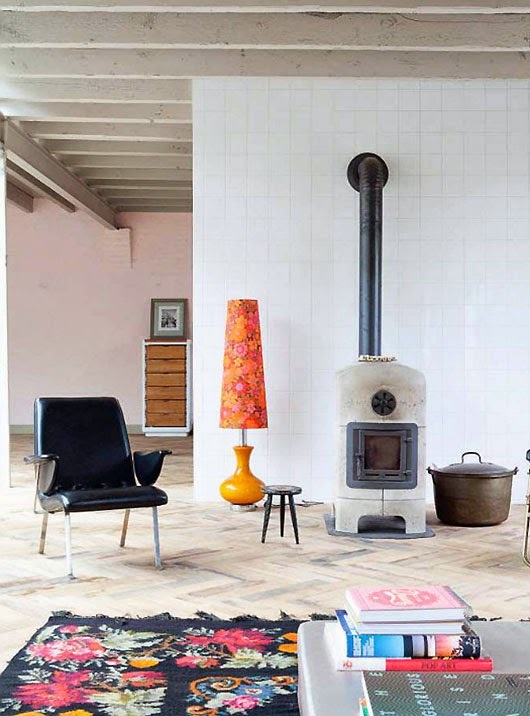 I'm loving the Tom Dixon copper shade lamps customised with neon pink chords, fantastic wood burning stoves and the black rug with the large floral print. How about you? 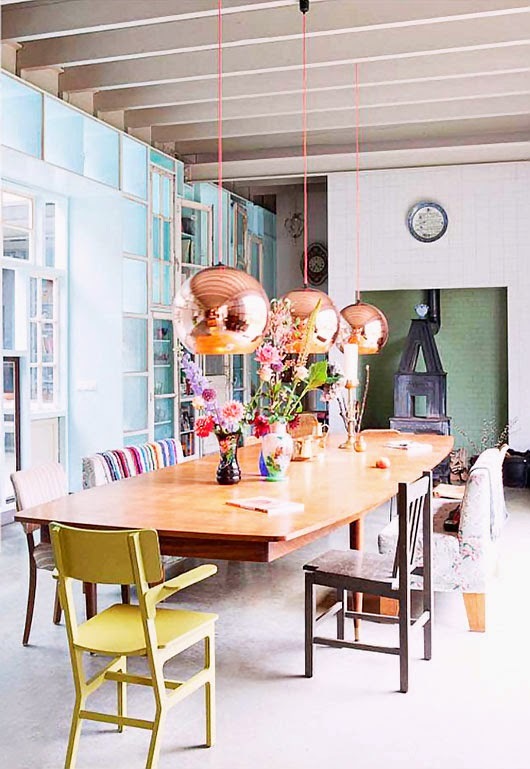 For more colour inspiration I love this brightly coloured Dutch home, this stunning vintage inspired home of a Melbourne illustrator, and a lovely Skåne home with pops of green. 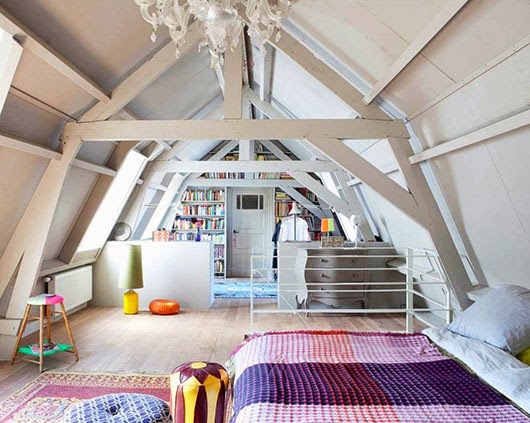 What a great space...the windows...the loft. Light ans casual. Love it! I love this! I'm actually living in a converted garage myself, and I have a little wood burning stove. It's a work in progress, and this has given me lots of ideas! Thank you. Round brass lamps are sooo cool! Lovely home. I've totally fallen in love with brass Bumling lamps, and bought couple already. Brass is such a lovely material. Very nice dining table, full of colors, i just love it. Oh my Yes. This house is homely and looks good. Love the dinning room table and chairs the best.